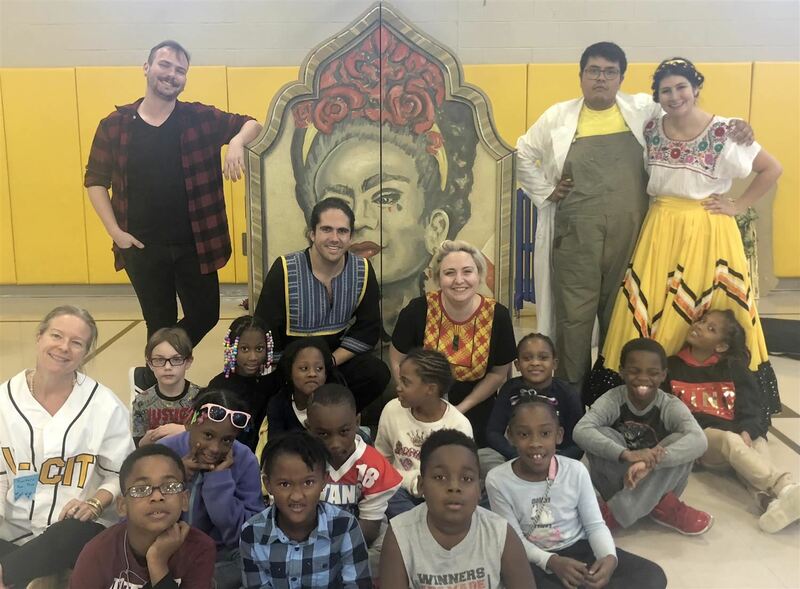 Pershing students enjoyed a special performance of Frida Libre by the Metro Theater Company. Click headline to read more. School celebrated General John J. Pershing’s birthday with cake and ice cream to augment a week’s worth of study on the military hero. They learned of his start as a teacher of African-American students; his career at West Point, his heroic rise in World War I and his thoughtful command of African-American troops. Click headline to read more. 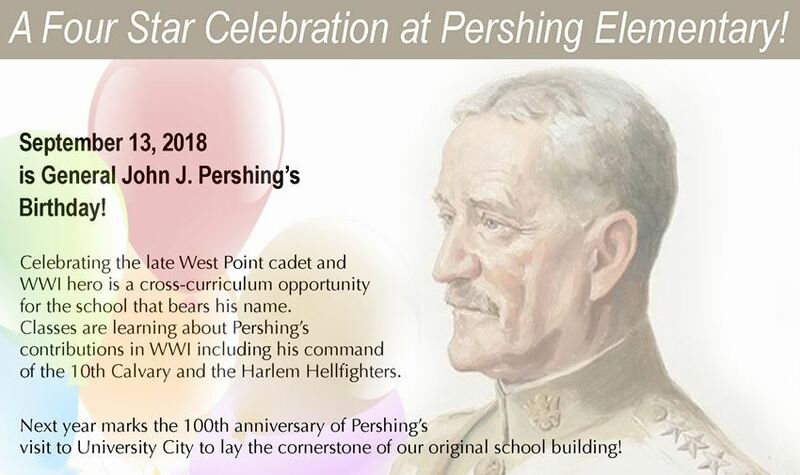 On Sept. 13, 2018, the 400 students will celebrate the birthday of General John J. Pershing; the WWI (1914-1918) hero who famously came to St. Louis in December 1919 to lay the cornerstone of the new Pershing Elementary School. Click headline to read more. Brittany Woods Middle School students interested in social justice and activism learned about abuses of civil forfeiture thanks to a visit by former St. Louis Post-Dispatch journalist and attorney William Freivogel. Students impressed Freivogel with their knowledge of the Bill of Rights and other constitutional amendments. Click headline to read more. According to Bob Dillon, District director of Innovative Learning, modern learning spaces can aid student learning...School leaders need to actively consider the design of space and reimagine traditional rows of desks into spaces that allow students to learn actively Click headline to read more. Join us for any or all of a three-part parent education series designed to assist parents with supporting their children’s well being through school and life. Next session is Monday, March. 4. Click headline for more information including session topics and dates. Looking for a chance to help with our goal of Learning Reimagined and send UCHS students to NYC to learn more about journalism? Click headline to read more. Superintendent Sharonica Hardin-Bartley has been selected by Missouri Association of School Administrators to receive 2019 New Superintendent Award. Click headline to read more. Congratulations to U-Times newspaper, U-Times Online and DIAL yearbook journalists who received an impressive 23 state awards during 2019 Scholastic Journalism Day. Click headline to read more. For Olive-170 Project updates, please click here. Most recent update is May 15, 2018 Memo.